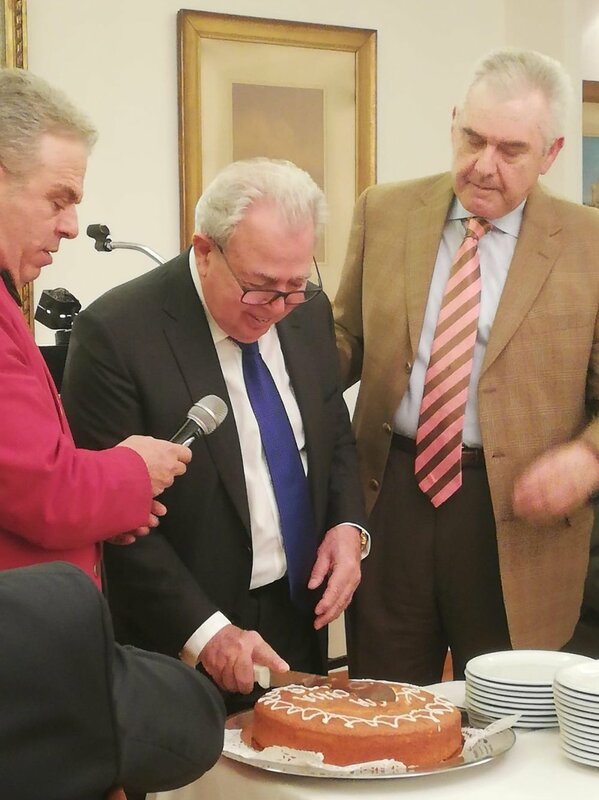 WASHINGTON, DC —American Hellenic Institute (AHI) President Nick Larigakis completed a successful overseas trip to Greece and Cyprus, January 24 to 29, 2019. The trip’s purpose centered on the invitation for President Larigakis to address the Greek chapter (named Aegean–Macedonia) of the Young Presidents’ Organization’s (YPO) “In the Boardroom” event held at the Grand Bretagne, January 28. Larigakis spoke to an audience of 21 entrepreneurs of major Greek commercial, shipping, and industrial companies about the geopolitical developments impacting Greece and Cyprus and surrounding countries. “I thank the chapter officers for the invitation to speak to a dynamic group of entrepreneurs,” Larigakis said. While in Athens, President Larigakis met with: U.S. Ambassador Geoffrey Pyatt at the U.S. Embassy; Diplomatic Advisor to the Greek Prime Minister Evangelos Kalpadakis, Deputy Minister of Foreign Affairs Terens Quick, and Elisabeth Fotiadou, director, A7 Directorate for North America at the Ministry of Foreign Affairs. 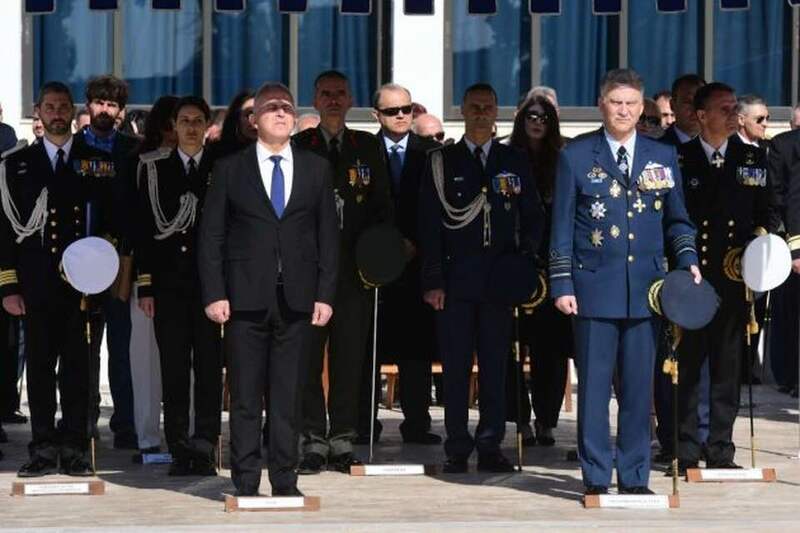 Also, on January 28, President Larigakis attended a ceremony involving the transfer of power for the position of chief of the Hellenic National Defense General Staff from Admiral Evangelos Apostolakis, who now serves as minister of Defense, to Captain Christos Christodoulou, former chief of Aviation General Staff. President Nick Larigakis made a day-trip to Cyprus on January 25 to meet with Cypriot Foreign Minister Nikos Christodoulidis and Presidential Commissioner for Humanitarian Affairs and Overseas Cypriots Photis Photiou. In addition, Chief of the Republic of Cyprus National Guard Lt. General Ilias Leontaris hosted President Larigakis for lunch at the Officers’ Club.